One of the most common complaints we hear at Installer from our readers is that no-one ever asks their opinions when it comes to making legislative or regulative changes. From Green Deal to ErP, the lack of involvement with those at the coal-face has always been seen as a primary reason for the failures of these initiatives. Aside from the lack of consultation on important issues, the industry has also long struggled with its image – often seen as being the haunt of unscrupulous and unqualified cowboys looking to make a quick buck at the expense of unsuspecting Joe Public. For these reasons, there is undoubtedly a need for the industry to take more interest in its own interests. Of course, there are membership organisations that already exist and do important work in promoting professionalism and raising standards – step forward the likes of CIPHE, APHC, Gas Safe and WaterSafe. However, there is only so much these organisations can do – and to sit back and wait for them to change the industry for us all is naïve. The change needs to come from within – we need to start getting together as a community to raise the public perception of heating engineers and plumbers. Once this begins to happen, the general public – as well as those in office – will begin to recognise the importance of this industry and those who work in it. In truth, this is already happening – especially on social media. The seemingly organic creation of communities of like-minded installers has been happening on Twitter, YouTube and Facebook – providing the perfect forum for the sharing of advice, recommendations and insight. 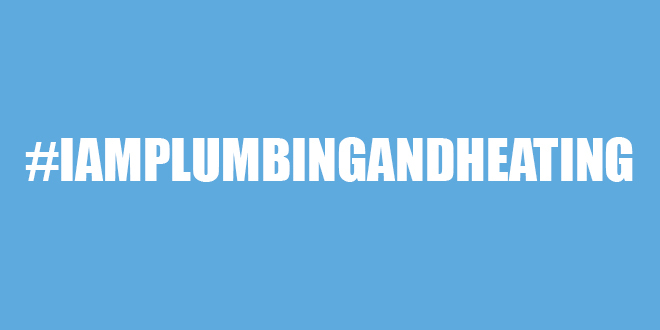 The inevitable development of personalities such as Plumberparts and @GasManGod are also crucial in helping to build these groups – offering an obvious focal point for other installers. The next step – if installers are genuinely keen to gain a recognised voice – will be to formalise these communities and bring even more people into the fold. Backed by a groundswell of enthusiasm and commitment, it will be impossible to ignore the influence, knowledge and expertise that undoubtedly exists in abundance within this industry.